I imagine many of us have heard this question many times. So much, that the mere asking of the question can make us feel defensiveq. The question demands that we explain ourselves. Where were you means what were you doing? Were you into mischief? Where were you? He believes that God is just. There is no doubt in his mind of God’s justice. Because Job has lived a righteous life, because Job has remained faithful, he believes that God will see his suffering, see the injustices wrought against him, and restore. Not only that, but the scripture last week makes clear Job expects God will explain why Job has undergone these storms. Job expects an explanation, and in our scripture this morning, that’s exactly what Job gets. In fact, God’s challenge is so severe, God tells Job at the beginning to “gird up your loins like a man,” which means exactly what you think it means. Take courage and address me: I demand that you explain yourself, Job! How can you question me? Your vision is myopic, you see only a little piece; I see the whole picture. You can’t judge me. I stand in judgment of you! You are a small piece of the puzzle. I hold and put together the entire puzzle. Where were you when the storms of life came, though? Where were you, God, when I lost everything? Family, property, possessions? Where were you? Where were you in our own lives this morning when we had a crisis of faith? Where are you in the midst of the storms that take hold of our lives? When doubt comes, when anxiety sets in, when we struggle to believe in you, when something makes us question the very basis of what we believe, where were you? For any of us who have known the land of deep darkness where faith is rocked to its core, where we struggle to believe what we used to believe, where our faith feels as though it has failed to provide as promised, where were you, God? Where are you when we feel like a 1000 piece jigsaw puzzle suddenly swept to the floor, crumbling into its pieces. Where were you, God? We all have known times when a tragedy occurs: a relationship ends, a job is lost, a financial panic ensues, a death occurs; something that rocks us to our core and makes us doubt that God is just, that God is good, that God works in our favor, that God will provide. When that kind of doubt settles in, where were you, God? Explain yourself! We want to throw the question back at God and rightfully so! Just like Job, we’ve been righteous, we’ve been good, we attend church, we do the right things, we say the right things, we do our best to be devoted to religious practice, so where’s the benefit? Where were you, God? Where were you? That’s Job’s central question of God. And in the encounter in our scripture, God throws the question back at Job. This doesn’t answer Job’s doubts, this doesn’t provide explanation for why Job has suffered such grave injustices. All God does is say, for four chapters, that he doesn’t have the offer explanation. God is God, God made everything, God has the larger vision. But that’s not very satisfying when you’re in the midst of a grave injustice. Job’s friends ask the same question. Where were you at confessional today? In the midst of grave doubt, Job’s friends try to speak a word of comfort. Accept that God will do what God will do and move on. Accept that you’ve done something wrong, for God only punishes people like this if they’ve done something wrong. No matter that Job’s conscience is clear, the friends say that if he’ll confess his sins, God will be just and restore. Job hadn’t done anything wrong, but the friends say that Job should say sorry anyway. Where were you when we offered our burnt offerings for confession? Where were you when we atoned for our sins? Where were you when we said sorry to God hoping that would make God put our lives back together again? Where were you? Job’s friends make sense: if you’ve done something wrong, bad things happen to you. Their argument is like karma. It may even be that you’ve sinned and not realized it, but still offended God, so say you’re sorry and move on. Then the karma will reverse itself. And while we may not believe in karma, don’t we act that way? If something bad has happened in our lives, how many of us ask ourselves what we’ve done wrong to deserve it? How many of us try to atone for our sins by coming to church more often, giving more money to the church, reading our bibles or praying more often? How many of us have been known to think that if we do more of the right thing, God will do more good for us? That’s is the advice of Job’s friends: get right with God by confessing your sins, by going to church more often, by doing more of what God expects of you. Where were you, God, in the midst of my suffering, my injustice? The severe losses, the deaths, the hopelessness, the despair, the anguish. Where were you when the doubts settled in, when I struggled to still believe in you, when I wondered if you still loved me, when I doubted in your Son, when I questioned my faith? Where were you when my child died, when my life was ruined by a bad marriage, when I finally recognized the abuse I’d suffered for years? Where were you, God? For four chapters, God offers explanation by not explaining: God spends four chapters explaining that he needs offer no explanation because he is simply God. One is reminded of Exodus when God says from the burning bush, “I am who I am.” There’s no explanation needed, God says. Where were you when I created the world? Where were you when I made the animals that roam the earth? Where were you when I hung the stars? Where were you when I made it all and called it good? Where were you, Job? 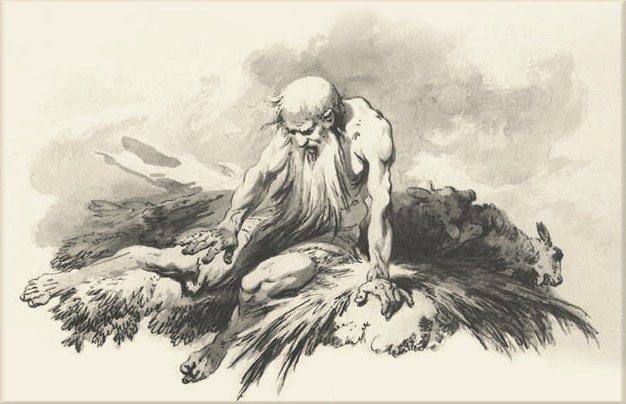 In the end, Job accepts his place in the order of things: he recognizes that he is not God and that God needs offer no explanation for himself. Job says that he is sufficiently humbled. God has not answered his questions, but Job is satisfied: he is human, God is God. Thus ends the debate. One might expect, then, that Job’s friends were right all along. Where were you at atonement? Accept your place, confess your sins, and God will relent. One might expect that Job, being sufficiently put in his place, will now be corrected by God for his challenging of God, for his demands of God, and especially for his doubt. Job’s been full of doubt. Now that he accepts his place humbly, now that he is restored to faith without doubt, we can expect that God will rebuke his doubt, perhaps even punish his doubt. Job 42:7 says “After the LORD had spoken these words to Job, the LORD said to Eliphaz the Temanite [one of Job’s friends] ‘My wrath is kindled against you and against your two friends: for you have not spoken of me what is right, as my servant Job has.” Crazy. Job was the one questioning God, challenging God, demanding of God, “explain yourself!” Job’s friends were calling to Job to confess, accept his place in the order of things, be humble and move on. But here, at the end of the book, after all is said and done, it’s Job’s friends who get reprimanded and not Job. Not only that, but God then demands that Eliphaz and his friends offer burnt sacrifices to atone for their sins, in front of Job, and that Job will pray for them on God’s behalf. Job needs offer no sacrifices for God seems to admit that Job has done nothing wrong. Instead, it’s his friends who have done wrong. The book of Job is quite odd. There’s much to unpack. But in this dialogue, we discover something powerful for our lives of faith. God expects of us, asks of us, desires for us, to act as Job did. Job spoke rightly because he wasn’t afraid to question, he wasn’t afraid to challenge God, he wasn’t afraid to doubt. Job didn’t tell himself what he was supposed to believe, like Eliphaz and his friends recommended. Job didn’t rely on faith of the past, filling himself with platitudes like “God will provide” or “God has a plan” or “God makes all things work for my good,” as Eliphaz and company said he should. Job’s faith has failed him. He believed that if he was righteous and did what God asked, God would always provide for him and he and his family would remain safe and secure. And for that, for the doubt and the challenge, God says he spoke rightly. That is the lesson for us this morning: to speak rightly in faith is to speak of our doubt. To speak rightly about God is to challenge God when our faith is challenged. To speak rightly about God is to demand explanations. It’s been said that doubt is the fertile soil in which faith grows. Here, in Job, we have exhibit A of how that is true. Job’s world, his understanding of God and his faith, were thrown into chaos by trauma in his life. By the end of Job, we see that the right way to handle trauma, the right way to handle a faith that’s been severely challenged, is to ask God for an explanation. The right way to handle when life’s storms come is to live into the doubt they create. By the end of the story, Job has a greater understanding of who God is because he doubted, because he questioned, because he challenged. Job has a deeper sense of the nature of God because he was willing to live into his doubt. He knew the faith of old didn’t work for him any longer. And when left with a faith that could no longer supply answers, rather than tell himself what he should believe, or try and reconstruct his old faith that he knew didn’t work, Job asks the questions, the daring questions, the bold questions. And for that, he comes back together better than he was before. The process of faith, as Job shows us this morning, is like a puzzle. Imagine with me that your life is like a 1000 piece jigsaw puzzle. Most of the pieces are in place, you have a few that haven’t been put into place and several that are in the wrong place. That’s true of us all. When challenges come into our lives, like a traumatic event, a sudden death, a huge financial downturn, abuse of any kind, a shocking event; when any of these things come, we experience chaos. That chaos sweeps us off the table and shatters us into a bunch of pieces. The more traumatic the event, the more of us falls off the table. And when that happens, we have two choices. We can be like Job’s friends, trying to put the pieces of our lives back together ourselves. But the problem is we will put pieces back into the wrong places, we won’t change, we won’t emerge better. We will only succeed in either putting ourselves back the way we were or in making things worse. But, if we’re like Job, willing to doubt, willing to question, willing to challenge God, willing to engage in the hard stuff of faith, God will take our pieces and put them back together better than they were before. That’s the promise of engaging with our doubt: God will come into the midst of our doubt and put us back together better than we were before. A new and surprising truth will emerge. For Job, that truth was that God is God, that God is way beyond his understanding and, for Job, that was enough. He didn’t have to have all his questions answered. He found his way to a truth that sustained, to a truth that deepened his faith, to a truth that set him free. This morning, I wonder if you need a truth that will set you free? Free from traumas you’ve experienced? Free from hard circumstances of life that have suddenly taken hold? Free from disasters? Free from anything in your life that has created doubt? Do you have questions that you can’t answer, questions that you’re afraid to ask? Do you want to ask God to explain himself but fear the consequences if you do? Do you doubt faith, trying so hard to believe what you should when you know, in your heart of hearts, that you don’t really believe? If any of that describes you, run headlong into the doubt. Ask the hard questions of God, prayerfully. Be willing to embrace that doubt. Come talk to me about your doubts, talk with your close friends who will listen without telling you what to do or what to believe. Talk with spiritual mentors. Open your bibles and prayerfully read the scriptures. Seek after God in the ways you do. For when we run headlong into our doubt, God picks up the pieces. Our faith is better and stronger for it. So embrace your doubt, and find there that the truth will set you free. Previous Don’t miss these great events this weekend, October 19-21! Next It’s beginning to look a lot like….Christmas?